Drip irrigation is the process of slowly applying water directly to the plant’s root zone, using a system of drippers or emitters, valves, pipes and tubing, to maintain the ideal moisture level in the soil at all times. This results in reduced water loss to the sun and wind, and no water wastage on non-growth areas. 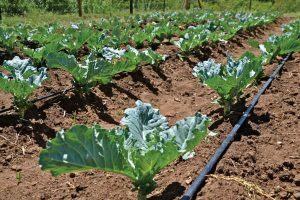 Drip irrigation allows the water to be pushed deeper into the soil and helps promote the roots to grow downward rather than laterally, as they would with shallower watering. The low flow rate of water from outlets on a drip irrigation system also enables the user to water a much larger area from a single water source, particularly useful in the agricultural and horticultural industries. 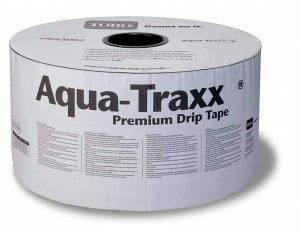 We have a range of drip irrigation products from leading brands including Netafim, NaanDaan Jain, Toro and Rivulis. Our range of drip irrigation products and components is supported by our IAL certified irrigation designers who will work with you to design the most water efficient drip irrigation system possible. We are highly experienced with Netafim’s agricultural range including the Uniram and Techline AS ranges and their landscaping range including the Miniscape and Scapeline ranges. Need a drip irrigation design or drip irrigation products for your project? Contact us today on 1800 571 812.